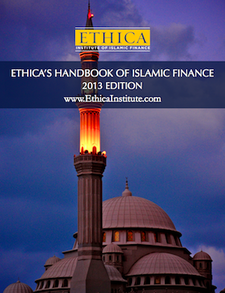 Islamic finance is supposedly synonymous with growth. As Islamic assets hit $1.3trillion and sukuk issuance reaches a new high, a skills shortage looms. Why, then, can’t those undertaking industry qualifications find work? In Malaysia, the world’s largest Islamic finance centre, the industry is reportedly facing a massive shortfall of qualified professionals. Around 40,000 people will be needed to fill the roles by 2020 in Malaysia, according to its central bank, and another 17,000 in Indonesia in the next three to five years. The Kuala Lumpur-based International Centre for Education in Islamic Finance says it will launch new programmes to meet the demand. But it’s not as though there’s a shortage of educational options currently. There’s the Islamic Finance Qualification (IFQ), various certificates from the Institute of Islamic Banking and Insurance, the CIMA advanced diploma in Islamic finance and whole host of degree courses like the MSc Investment Banking and Islamic Finance offered by the Henley Business School. However, these are not a golden ticket into a new job. So far in 2012, Islamic bond issuance globally has already reached record new highs of $38.4bn, according to figures from Dealogic. Syndicated loans have also held up well this year, with deal value coming in at $18.7bn, compared to $7.2bn for the whole of 2011. The Middle East makes up the majority of Islamic bond issuance – $19.7bn so far in 2012, compared to $16.5bn in Malaysia. Globally, the biggest bookrunner is HSBC, with 25.7% of the market, followed by Maybank Investment Bank, whose dominance in its native Malaysia helps it up the league tables, then CIMB Group, Standard Chartered and Deutsche Bank. Investment banks’ Islamic finance teams in the Middle East remain relatively small, however. In Malaysia, job opportunities appear more prolific. Simon Gregory, general manager, Malaysia, executive recruitment at recruiters Talent2, says demand “continues to increase” with investment banking providing the driving force. “While many companies are asking their front-line staff to sell both Islamic and conventional products, most have Islamic-product specialists who are able to give technical information and ensure the product is sold in correct way,” he says. Part of the problem with the current Islamic finance qualifications is that graduates come equipped with theoretical knowledge, but nothing in the way of work experience or practical application that would appeal to an employer, suggest experts. Mohammed Khnifer, a sukuk structurer working for the Islamic Financial Product Development Center in Saudi Arabia (and a man with Islamic Masters and MBAs under his belt), says there’s a “thin line” between good and bad Islamic finance education. Globally recognised universities, who provide both theoretical and practical training – the Henley course requires students to spend time in an Islamic bank in Malaysia, for example – are much more likely to result in employment after graduation, he argues. Even graduates of these Masters courses are struggling to find employment, however. Martyn Drage, manager of the careers service at the ICMA Centre in Henley Business School, says that graduates of the MSc Investment Banking and Islamic Finance are not finding success within Islamic institutions. Recruiters tell us that international banks tend to put their conventional products in an “Islamic wrapper”, so investing in a graduate with a specialist Islamic finance degree is unnecessary. Instead, they prefer conventional qualifications, such as the CFA, or turn to existing employees they can spend a short time training in Shariah principles. It also doesn’t help that the Malaysia, the world’s biggest Islamic finance centre, is largely closed to recruiting foreign graduates. “It is the nature of the Malaysian financial services industry that usually only Malaysian candidates will be considered unless at a very senior level,” says Gregory. This entry was posted in Current trends and news, Training and education and tagged Islamic Banking, Islamic finance. Bookmark the permalink.